Home Topics Amnesty The Case For Militarizing I.C.E. I cannot say it enough…President Trump has turned out to be a great president as has his America First agenda with its focus being to help Make America Great Again (#MAGA). From the tax cuts, to the economy and jobs numbers, to removing us from Obama-era deals that should never have been, to making American exceptionalism something to again strive for…the list of ‘wins’ grows almost by the day. However, and it pains me to say this, America is not winning on one key issue and it’s through no fault of President Trump, for try as he may the fact is that our southern border is still very much penetrable as witnessed by those breaching it everyday. And no matter how hard I.C.E. tries to do its job, no matter the amount of leeway Trump gives them, no matter the limited National Guard presence currently at the border, illegals are still crossing into our country with but a slap on the wrist…if even that. And once they get to stay here after what amounts to being “processed” with mandated court dates in hand…dates very few will keep…these folks are given vouchers for “free stuff” with Democrats lurking in the wings ready to sign them up for illegally “manufactured” voter I.D. cards by which they can cast their illegal vote multiple times. And with all this “free stuff” now in their possession, the illegals then “infiltrate” our country by seeking refuge in the hundreds of sanctuary cities across our great land or they just hightail it to a sanctuary state…some hoping to blend-in, others not caring if they do or not…yet all secure in the knowledge that even if they’re caught by I.C.E agents nothing of lasting consequence will be done to them as sanctuary city mayors and sanctuary state governors refuse to cooperate with or honor I.C.E. warrants and such. And the majority of Democrats and their party leaders relish in this for reality sees President Trump still not having his campaign promised wall…a wall that should have been built by now. 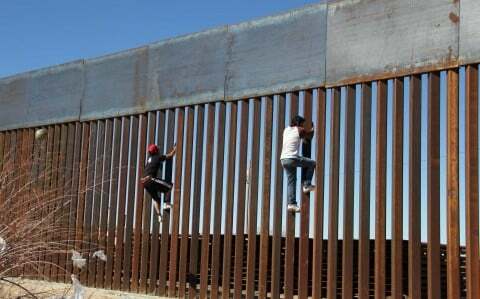 And while said wall would be a deterrent in slowing down the invasion at our southern border, a wall will never be a permanent solution to the problem for walls at best are but window dressing…window dressing that can be gotten around, over, or under if the determination to breach it is there. 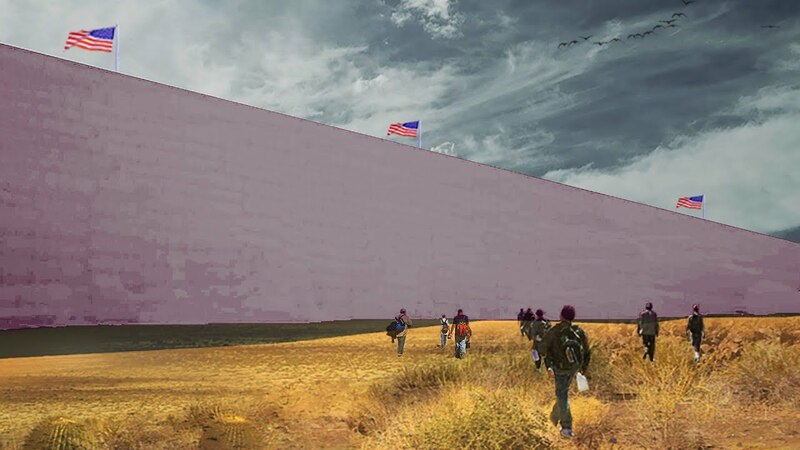 And while this wall once built would be an all-important symbol of President Trump’s promised and delivered return to American nationalism, the fact remains that it’s not the promise of freedom that brings the majority of these folks here, but simply the lure of “free stuff,” for most illegals don’t care about American nationalism, assimilation or being part of the fabric of our American society. But as long as the wall remains in limbo the Democrats are happy as they get to add more illegal names to their voter rolls. 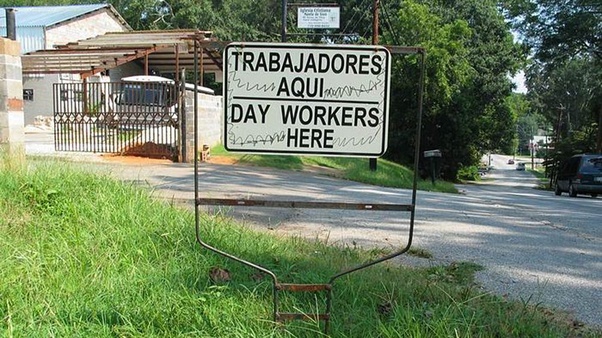 Getting these folks to “safety” directly translates into more Democrat votes, for few will bite the hand that gives them all their new found “free stuff”… and to Democrats it has always been and will continue to be about nothing but votes. But what of the wall itself…why really is it still not built? It is not for lack of trying on President Trump’s part, but is for both the lack of funding and the liberals ad-nauseum mantra of “open borders for all” no matter that illegal aliens…criminals all just in how they came here knowingly breaking our immigration laws…continue to mock those laws. And while those laws have been designed to gladly welcome legals into our country while striving to keep the illegals out, the sad fact is that those laws are not being fully enforced. Again, ask Mollie Tibbetts’ family about that very aspect. 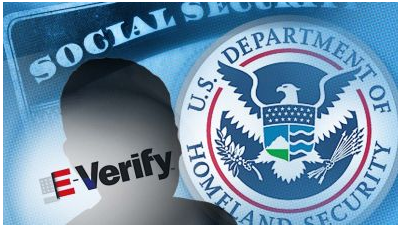 And to make what was an already bad situation even worse, today most of those who employ illegals…what amounts to cheap labor…have little ability or incentive to check the validity of someones employment documents. And this in turn leaves any employer who dares to challenge a document’s validity or who might outright refuse to hire an illegal, to face the prospect of both a lengthy and an expensive discrimination lawsuit, the what could be big money in the bank cases liberal lawyers fight each other to secure…ambulance chasers to the nth degree. So what’s the solution for this current illegal alien crisis…a crisis amounting to an invasion coming from Central America replete with the murderous thugs known as MS-13? The solution is as it has always been…shut down our southern border in full until the wall is built with“expedited” deportations becoming the rule for any and all illegals caught (even if it means deporting entire families), and untying I.C.E.’s hands so they can do what they were always supposed to do…secure our borders and keep American citizens safe. And try as I.C.E. may to keep American citizens safe, sadly more and more Americans are dying at the hands of illegals with the list of ‘Angel Families’ growing by the day. But this too is not the fault of I.C.E. for they’re being prevented from doing their jobs by Democrat mayors and governors who favor the ‘so-called’ rights of criminals over the rights of law-abiding American citizens. And when you add in the sad fact that the liberal left has turned I.C.E. agents into their version of immigrant-hating monsters… monsters that must be stopped by bullets if need be…how can we citizens be kept safe when liberal activist judges always seem to side with those who relish in making a mockery of our immigration laws? And the answer to that is let specially trained I.C.E. agents not only work alongside our military when they’re at the border, but actually have those agents become an integral part of any future military contingent tapped to do so. “Every agency has to have an enforcement branch. Immigration is no exception. If Congress eliminated ICE, it would have to create some other immigration enforcement entity.” So said Stephen Yale-Loehr, a professor at Cornell University Law School. I.C.E…the U.S. Immigration and Customs Enforcement Agency…falls under the auspices of the Department of Homeland Security. Created in 2003, I.C.E. was but one part of President G.W. Bush’s post-9/11 reorganization that included dismantling Immigration and Naturalization Services; name changing the Bureau of Immigration and Customs Enforcement to U.S. Immigration and Customs Enforcement; and also name changing the Bureau of Customs and Border Protection to U.S. Customs and Border Protection. And Bush charged I.C.E. with enforcing federal laws governing border control, customs, trade, and immigration…meaning I.C.E.’s main job was and still is to promote security and public safety by enforcing current immigration laws within our U.S. borders. But with I.C.E. now the target of the lefts unabashed crusade to abolish it coupled with the fact that our current immigration laws are not being fully enforced, the left continues to demand “open borders.” And if “open borders” is what the left demands then common sense dictates that I.C.E. needs to be made stronger…much stronger…but that can only be done through some limited degree of militarization. How so…by taking a specifically dedicated sub-sect of I.C.E.’s enforcement branch…the branch that deals with the actual rounding up of illegals for immediate deportation…and having specially selected agents answer directly to the military, thus allowing them to bypass the bureaucracy of I.C.E. higher-ups in order to initiate deportations in a more timely manner. And with President Trump saying on February 7, 2017, when speaking at a meeting with manufacturing and industry CEOs, that his administration’s deportation agenda is “a military operation,” logic dictates that a “military operation” should be conducted via those trained by and answering to the military. And with Trump adding to those words that the U.S. is “getting really bad dudes out of this country. And at a rate nobody’s ever seen before…it’s a military operation because what has been allowed to come into our country, when you see gang violence that you’ve read about like never before and all of the things—much of that is people who are here illegally,” the stage for at least partial militarization was set for something that while not yet reality is something that really should be. Should be…for the fact is that specially trained border patrol agents…agents trained in military operational tactics…are desperately needed when dealing with the more violent illegal alien criminals and outright terrorist sorts now crossing into our country…enemy insurgents both. And with a war being fought at our southern border…a war against criminal aliens, terrorists, drug smugglers, and gang sorts…what better persons to deal with a war than military trained operatives. But logic again dictates that if those operatives are military trained they should answer to the military for who better than the military to decide when outright force is needed…it sure isn’t politicians sitting in D.C. nor is it I.C.E. bureaucratic sorts who have to work their way up the pencil-pusher chain of command to get anything done, especially when it involves the use of force. And while liberals will say that even criminals are entitled to “due process” for the crimes they are being accused of committing, the criminals and crimes liberals are referring to is the illegal who willingly committed the crime of illegal entry. Word semantics maybe, but word semantics at times does speak the truth, as does the fact that a 1996 statute allows immigration authorities…as in I.C.E…to deport certain persons without a hearing, a lawyer, or a right of appeal under certain conditions. 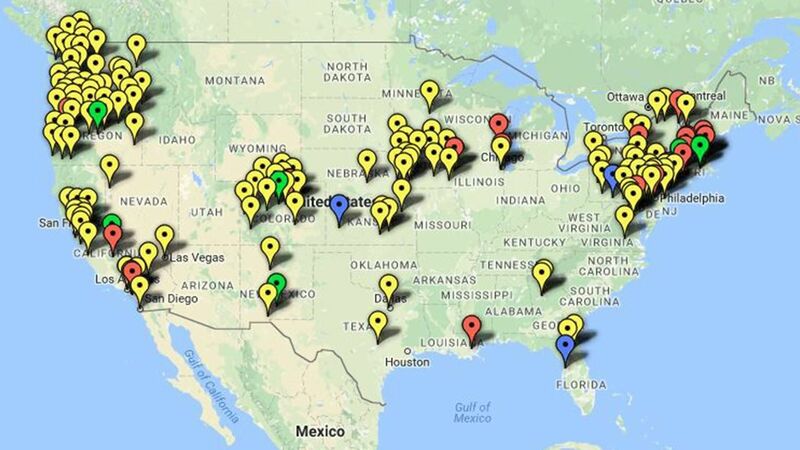 Called “expedited removal,” this process directly applies to illegal aliens… “undocumented migrants” as per the statute…illegals found within 100 miles of the border and within 14 days of entering our country. The statute also imposes no geographic limit and allows for “expedited removals” up to two years after an illegal entered our country. So with illegals actually being exempt from the right to “due process,” and if war at our southern border is formally declared…as it should be…the fact remains that while active-duty military cannot be used for domestic or civil law enforcement as per the Posse Comitatus Act of 1878, National Guard troops…a reserve military component…can respond to both. And with border patrol agents stretched thin due to the sheer number of illegals trying to gain entry into our country, it makes perfect sense to militarize I.C.E. to some degree, thus melding the two components into one powerful anti-illegal alien fighting force. And all it takes, at least in the short term, is an executive order issued pertaining to national security for President Trump’s main job is to protect the lives and the welfare of ‘We the People,’ and the unsecured southern border courtesy of the stonewalling tactics of the Democrats is denying him the ability to do his job. And that is a message we can send to help President Trump this November, for this midterm election is indeed all about illegal immigration and both its economic and legal ramifications. And when you couple that with the fact that we on the right are sick and tired of Democrat party leaders seeing Donald Trump as but an enemy combatant who they, at all costs, must remain at war with, we can relish in the fact that while they do so they remain ignorant to the reality that they’ve already lost their self-perceived war for Donald J. Trump is still president and Hillary Clinton is not. For more political commentary please visit my RIGHT SIDE PATRIOTS partner Craig Andresen’s blog The National Patriot to read his latest article Kabuki at the Kavanaugh Hearing. 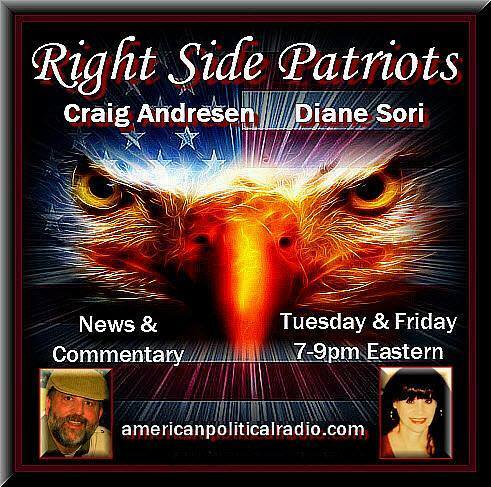 Today, Friday, September 7th from 7 to 9pm EST on American Political Radio, RIGHT SIDE PATRIOTS Craig Andresen and Diane Sori discuss ‘The Case For Militarizing I.C.E.’; ‘Kabuki at the Kavanaugh Hearing’; and important news of the day.